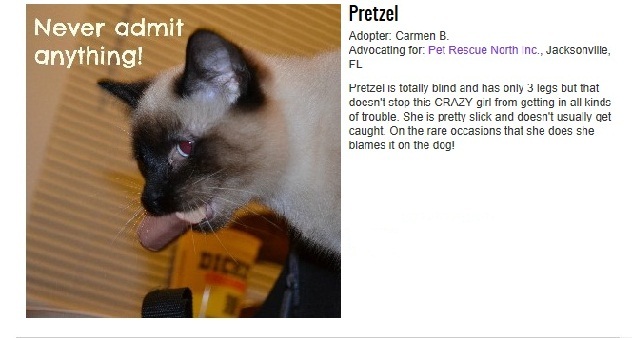 We’re excited to announce the winner of Petfinder’s Funniest Cat Contest! Thank you to everyone who voted. A $4,500 donation will be made to Pet Rescue North Inc. in Jacksonville, FL. Be sure to keep an eye out for our next contest! The grand prize winner will be awarded a $250 Petco Gift Card and a $4,500 donation to her selected shelter, Pet Rescue North Inc. in Jacksonville, FL.